We are definitely at that time when school and extra curricular activities are winding down and summer is beginning. This seems to be a super busy time of year for most families. I have 3 young children at home and so there is always something going on at our house. It is nice to have recipes that are quick and easy to make for my family. Heat oil in large skillet over med-high heat. Brown chicken in skillet until no longer pink in the middle. Meanwhile in a 9×13 mix the cream of chicken soup, sour cream, water, salt and peppers together. (Love using my baking dish as a mixing bowl as well-less dishes!) Once mixed throughly add your cheeses and stir in. 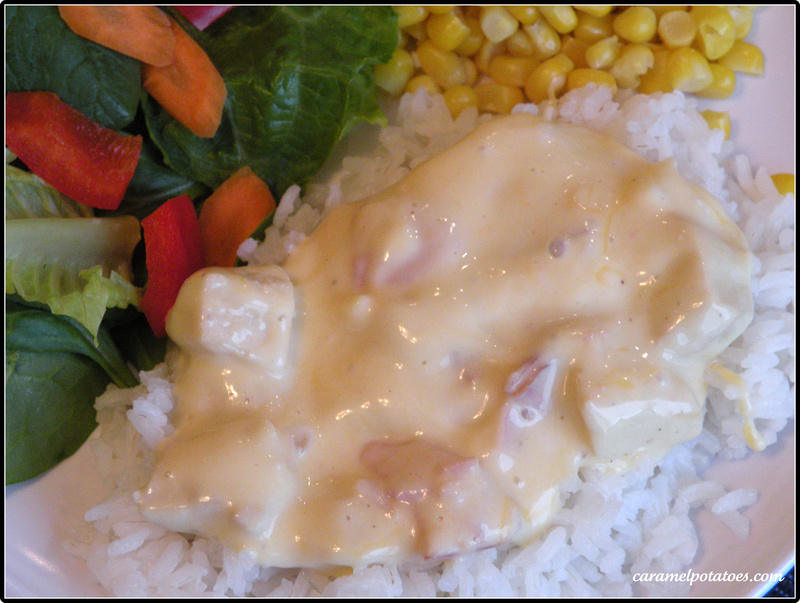 Stir in the cooked chicken and diced ham. Cover with aluminum foil. Place in a 350 degree oven for 20 minutes. Remove foil and cook for an additional 5-10 minutes or until bubbly. Serve immediately over rice. Tips: You can really use any cheese in this recipe. Just use 3 cups of whatever you like or have on hand in your fridge that day. Also if you do not stock white pepper in your pantry you can double the black pepper. This was delicious! A new favorite in our house. Since I am gluten free, I was able to modify it by making my own white sauce with rice flour instead of using cream of chicken soup. It turned out great! 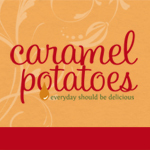 Caramel Potatoes » Chicken Cordon Bleu Casserole was stored like a favorite :), I like your site!